Sub-adult, F1 River Road. Extremely dark River Roads like this specimen are also somewhat unusual. This animal is likely to darken even further as it becomes older. 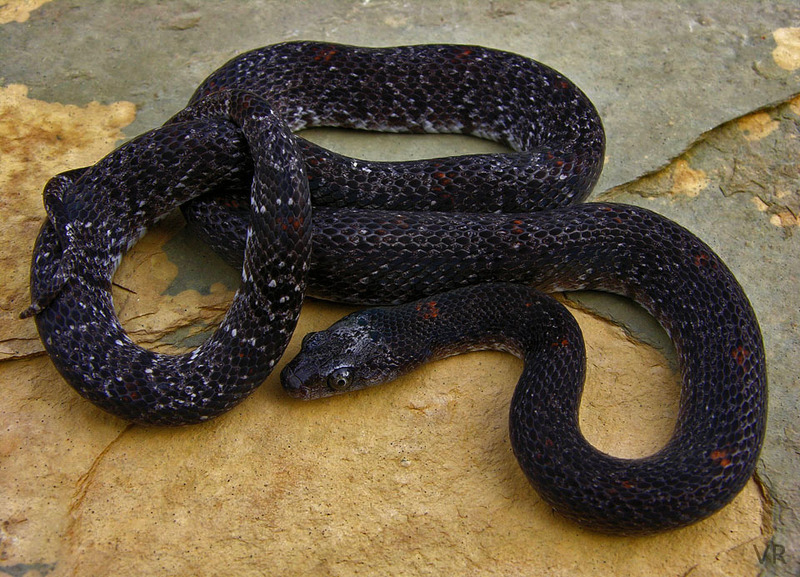 The tiny red spots seem to push through the dark pigment and give this snake an air of mystery. Most dark phase alterna hatch with medium gray and acquire dark pigment quickly with each successive shed.